Mere days after the shocking Muzaffarpur shelter home case, another shocking case has emerged from a state-run shelter home in Patna. Two girls from Asra shelter home located in Patna’s Nepali Nagar area were brought dead to Patna Medical College and Hospital (PMCH). According to reports, those responsible for managing the shelter home tried to conceal the deaths of the two women, aged 40 and 16. According to NDTV, the police came to know of the incident after they got a call informing them of the deaths. Reports say that police raided the shelter home and arrested a middle-aged man for allegedly helping some inmates flee the place. 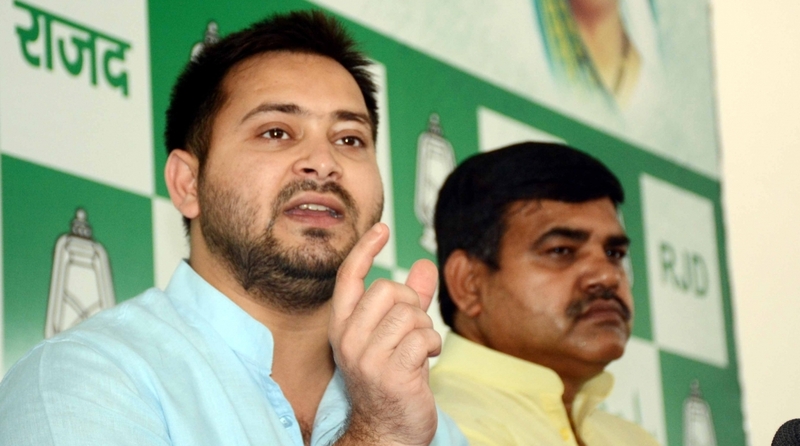 Rashtriya Janata Dal (RJD) leader Tejashwi Yadav slammed Bihar Chief Minister Nitish Kumar over the incident. Yadav, the former deputy Chief Minister of Bihar, said on Twitter that the Janata Dal (United) chief was busy with the upcoming general elections of 2019. “After the Muzaffarpur child shelter home case, now two girls dead at Asra shelter home. Police clueless about the deaths,” he wrote. “Nitish Kumar is busy with blackmailing and seat sharing for Lok Sabha elections. Ethics and morality have gone for a toss,” he added. The raid on shelter home came following complaints against one Ram Nagina Singh alias Banarasi. The man is accused of trying to persuade girls to flee with him. “We visited the shelter home and questioned the inmates and others. We also interrogated Banarasi. He was arrested and sent to jail. Security has been tightened around the shelter home,” Deputy Superintendent of Police (Law and Order), Patna, Manoj Kumar Sudhanshu had told PTI on Saturday. He said that the matter is under investigation. The Nitish Kumar government, a coalition of BJP and JD(U), has been under fire ever since the Muzaffarpur incident in which over 30 girls were allegedly raped over a period of time. Yadav organised a massive protest at New Delhi’s Jantar Mantar which was attended by leaders of opposition parties including Congress president Rahul Gandhi.